Breathe Teaser Out! How Far Will You Go To Protect The One You Love? Breathe brings to the audience R Madhavan in the OTT space for the very first time. The first glimpse of the digital series is out and it will surely leave you thrilled! The teaser of Breathe showcases a happy Father- son duo amidst Birthday celebrations that ends at the kid with a medical condition. Thus begins the emotionally tearing journey of a father played by R Madhavan that leads to him crossing paths with Amit Sadh, a police officer. Over a series of mind bending instances and glimpses, Breathe teaser provokes emotions and titillates the senses! Breathe is set to be Amazon’s first trilingual digital series, streaming in Tamil, Telugu and Hindi languages. 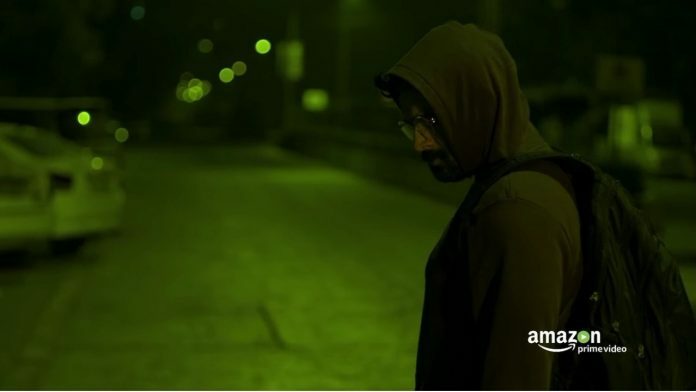 Produced by Abundantia and directed by Mayank Sharma, the Amazon Prime Original series stars R Madhavan, Amit Sadh and Sapna Pabbi and is set to release on 26th January, 2018. Previous articleHere’s Why 2017 Saw The Content Driven Movies Taking Over The Films Of Bollywood Superstars! Next articleBigg Boss 11: In A Shocking Incident, Shilpa Shinde’s Fan Misbehaves And Pulls Hina Khan’s Hair- Watch!